Last week my office received a call from a distressed patient who went to the pharmacy to fill prescriptions following a hospitalization. The cost for a month’s worth of three medications she was expected to stay on indefinitely was over $800. With mortgage rates being what they are, most people don’t have mortgage payments that big. She called our office in a panic. As she related her story, I wondered how this fiasco could have been avoided. When I prescribe medications, either my EHR or my Epocrates program gives me an idea of what the patient’s price will be based on her insurance. Is that too difficult for hospitalists to do? That sounds sarcastic, but I’m serious. Are the logistics for a hospitalist such that running medication through software to determine the likelihood a patient can afford them not realistic? What about the pharmacists in the hospital? Could this become part of the discharge process? Patients should not have to deal with “sticker shock” after a difficult hospitalization. I changed two of her meds to inexpensive generics and called a cardiologist to ask what to do with the anti-arrhythmic. He told me that the new medication was only slightly better than placebo in studies. And for that she was paying over $300/month! One of the Affordable Care Act provisions is that hospitals will be penalized for readmissions within a month of discharge. It will become incumbent on the hospital team to have a better understanding of medication costs, one of many reasons why patients are non-adherent with their therapy. As the family physician getting panicked phone calls I view this as a good thing. 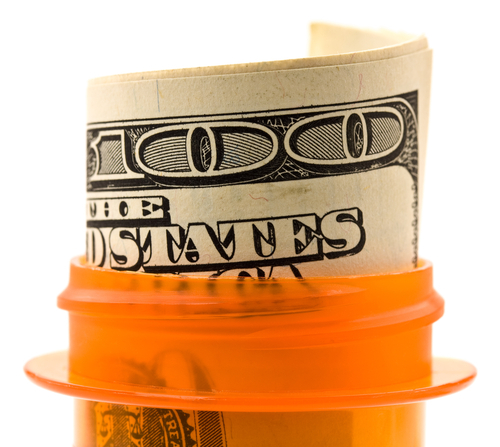 My patients will be discharged on medications they can afford and will take. Then we can spend our time in the office taking care of health problems instead of fixing something that shouldn’t have been broken to begin with.